With everything you need to get started using straight away. 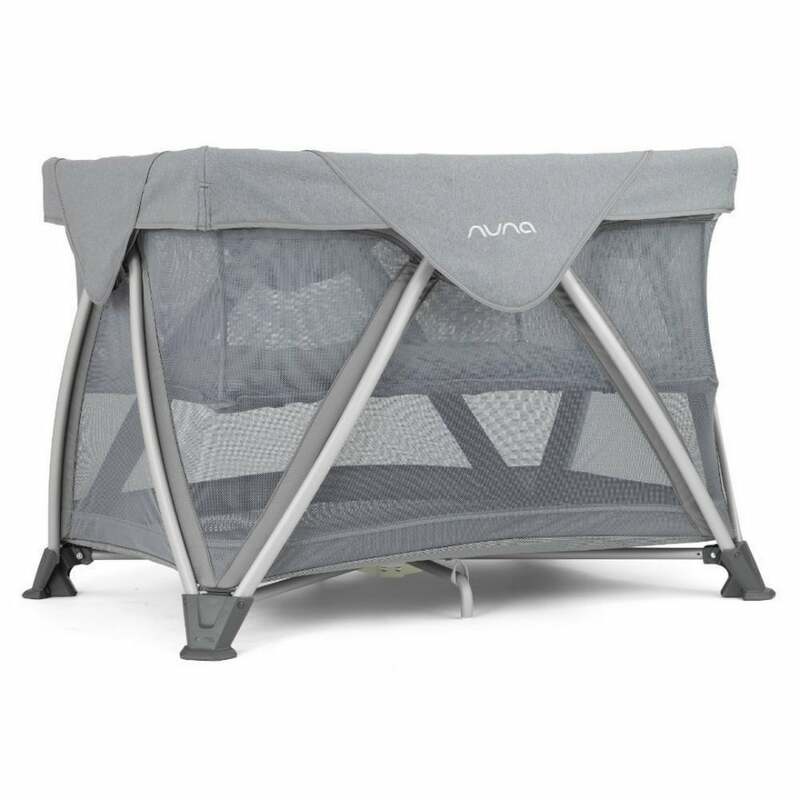 The Nuna Sena Aire Travel Cot is perfect for turning any room into a nursery. Why should I choose the Nuna Sena Aire Travel Cot? With advanced air design to all complete air flow and a triple layered mattress, your baby will be very comfortable in the Nuna Sena Aire Travel Cot. The mattress panels are also ventilated and can easily be removed for cleaning. The feet of the Nuna Sena Aire Travel Cot are skid proof meaning your baby will be safe and secure in the Sena Aire. Draughts are not an issue thanks to the above ground base and padded edges help prevent getting your fingers pinched. Travel bag is included - Nuna Sena Aire Travel Cot is ready to go with everything you need straight out of the box. What are the specifications of the Nuna Sena Aire Travel Cot? Is there a review for the Nuna Sena Aire Travel Cot? Yes, click here to see a full review to help you make a choice.